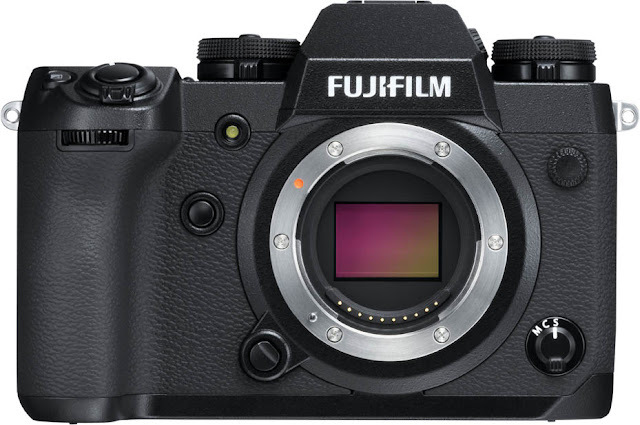 Fujifilm have today announced the latest addition to their X-Series lineup of mirrorless cameras, their new flagship, the X-H1. This is a professional level mirrorless camera boasting 4K video at up to 200 Mbps, a rugged build quality, and for the first time in an X-Series camera - 5-Axis in-body image stabilisation. Continuing Fuji's renowned and well-established X-Series image quality, the new X-H1 combines superior imaging ability with a robust build quality and easy operation. The headline new feature in the X-H1 is the 5-axis 5.5 stops of in-body image stabilisation (IBIS), which is compatible with all XF and XC lenses. 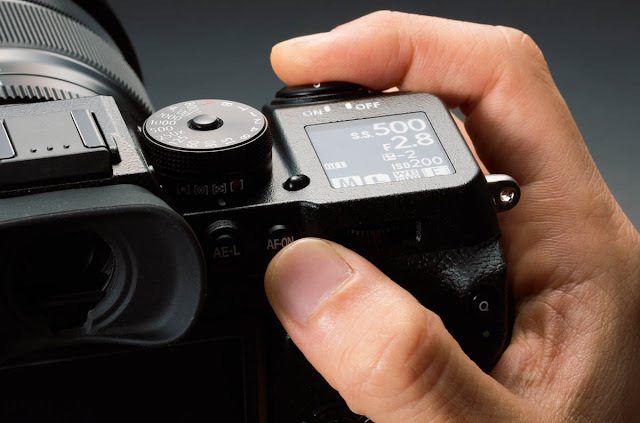 Harnessing three axial accelerometers, three axial Gyro sensors, and a specially developed dual-processor to achieve a high speed of approximately 10,000 calculations per second, the 5-axis in-body image stabilisation system in the Fujifilm X-H1 delivers uncompromising image quality and precision. Both photographers & videographers alike can benefit from the 5-axis in-body image stabilisation, which is compatible with all XF and XC lenses and up to a maximum of 5.5 stops of compensation with all XF lenses without optical image stabilisation technology. Fujifilm have been able to include this new system in the X-H1 thanks to a number of key technical breakthroughs, including: a laser measurement device used during the manufacturing process which controls component flatness and position with twice the precision of standard components; inspection & adjustment during the manufacturing process of each individual camera to ensure that the parallel position of the sensor is achieved with micro-order accuracy equivalent to previous models, even when image stabilisation is used; a new spring mechanism to reduce micro-vibrations caused by the mechanical shutter; and photographers can now opt to use the electronic first curtain shutter or the electronic shutter, which virtually eliminates the effect of vibrations and maximises the benefit of image stabilisation. The 5-axis in-body image stabilisation system in the X-H1 is paired with the renowned 24.3 megapixel APS-C X-Trans CMOS III sensor with no low-pass filter and the high speed X-Processor Pro image processing engine to deliver unrivalled image quality that captures the finest details and textures in every image. For the first time in X-Series camera, Fuji introduce a new film simulation mode called ETERNA, which is ideal for shooting movies as it simulates cinematic film and creates understated colours with rich shadow tones and enhances the creative freedom during post-processing. The Fujifilm X-H1 is a professional level mirrorless camera that meets the needs of both still photographers and moving image videographers, combining a robust and durable, ruggedly built body with a comprehensive range of video features. Shooting and editing video with the X-H1 is made easy by Dual SD card slots and the ability to record F-Log directly to the SD card in 4K resolution. In addition to high resolution DCI 4K video at 4096x2160 resolution, the X-H1 is also capable of creative slow-motion in full 1080p HD at half, quarter and 1/5th speed slow-motion from 120 frames per second footage. Further filming features on the X-H1 include high resolution audio at 24bit/48kHz and a 400% dynamic range setting of approximately 12 stops. The Fujifilm X-H1 can operate in temperatures as low as -10 degrees Celsius and, in addition to its dust-resistant and water-resistant properties, uses a 25% thicker magnesium alloy compared to the X-T2 for a more durable body. 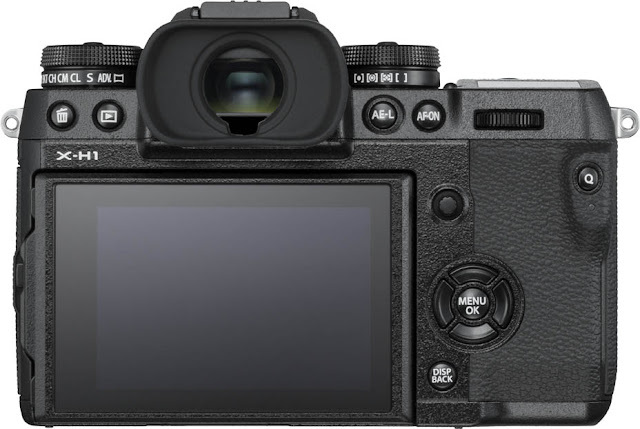 Taking ques from the medium format Fuji GFX, the X-H1 has a convenient top-panel LCD screen with shooting-essentials, making waist-level photography and easy adjustment of settings much easier. Additionally, the X-H1 features a large-grip design and enlarged buttons on the rear of the camera and improvements to the front of the grip and command dials, overall making the camera easy and convenient to handle for regular use. For more information, read our comparison of the Fuji X-H1 and the X-T2. 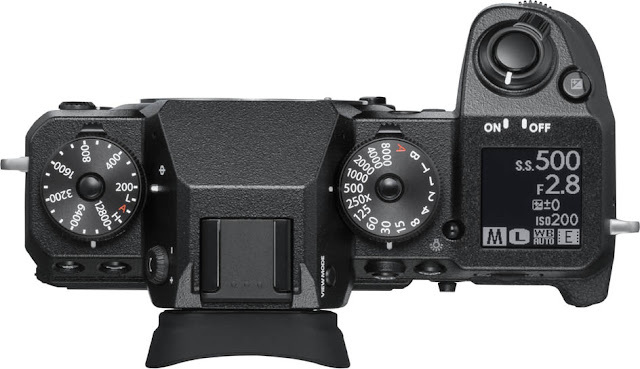 The Fujifilm X-H1 is available to pre-order today as a body only or as a battery grip kit.